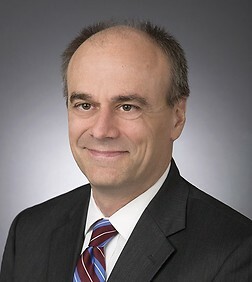 Jonathan Meyer counsels clients on their interactions with federal and state government, as well as cybersecurity, homeland security, Congressional oversight and immigration, among other challenges. Jon has helped clients respond to data breaches, new regulatory requirements, border security issues and government investigations, including special counsel and Congressional oversight investigations. He has represented clients before the Justice Department, Homeland Security, ICE, USCIS, TSA, FEMA and CBP, among many other agencies, as well as in court. Jon served for 17 years in government, including as Deputy General Counsel and Senior Counselor in the Department of Homeland Security, Deputy Assistant Attorney General at the Department of Justice (twice), and Counsel to Senator Joe Biden on the Senate Judiciary Committee. At Homeland Security, Jon advised the Secretary, Deputy Secretary, General Counsel, Chief of Staff and other senior leaders of the 240,000-employee agency on law and policy issues, including cybersecurity, airline security, high technology, immigration reform, encryption, and intelligence law. In this capacity, he supervised attorneys at Customs and Border Protection (CBP), the Federal Emergency Management Agency (FEMA), the Transportation Security Administration (TSA), Immigration and Customs Enforcement (ICE), the Secret Service, and the Coast Guard, among others. He also oversaw all litigation at DHS, at levels from discovery disputes to Supreme Court briefs. In addition, he led the Department’s responses to Congressional oversight from over 90 committees and caucuses of jurisdiction. Jon is regularly sought out by the media on issues such as cybersecurity, homeland security, immigration and Congress. He has appeared in the pages of the Wall Street Journal, New York Times, Washington Post, Politico, Vanity Fair, and National Law Journal, among others. Jon is a recipient of the Secretary of Homeland Security’s Outstanding Service Medal, DHS’s highest civilian honor, along with the U.S. Secret Service Director’s Honor Award and numerous other awards and honors. Prior to entering government service, Jon practiced law at two major law firms in New York and Washington. Advised Internet Service Provider on response to one of the largest data breaches in history. Counseled major government contractors on multiple data breaches. Advise major foreign bank on U.S. data security laws. Assisted major restaurant chain in avoiding Congressional oversight testimony. Advise government contractors on new data security requirements. Advised major media company on border search authorities overseas. Advise companies and high net worth individuals on immigration issues. Represented witness before Office of Special Counsel. Advised two ephemeral messaging companies regarding novel legal issues. Advised information technology provider on cybersecurity insurance. Advise data analytics firm regarding Congressional scrutiny and government contracts. Led U.S. Department of Homeland Security legal response to multiple hacks of DHS data. Oversaw DHS legal team on cybersecurity issues. Assisted OPM in its response to breach of government employee data. Led DHS and Secret Service internal investigation regarding White House fence jumper. Led DHS response to Operation Fast and Furious and many other oversight investigations.